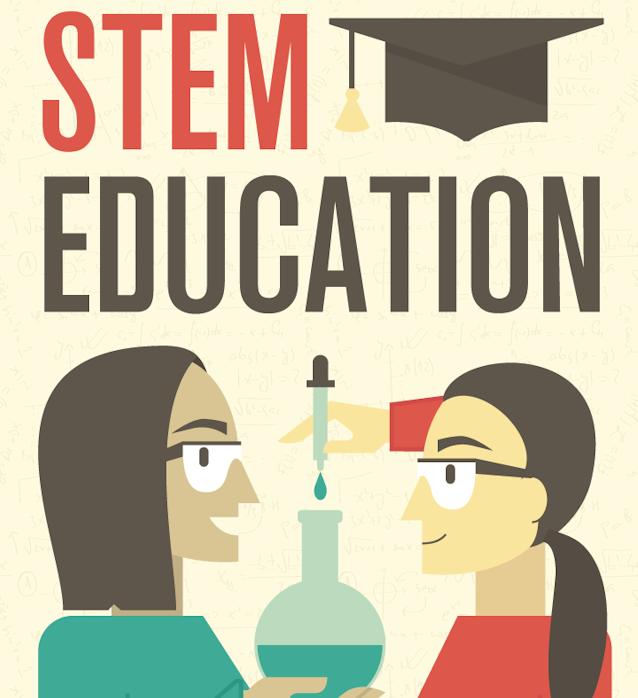 There continues to be a push in the United States to change the acronym STEM (which stands for science, technology, engineering, and math) to STEAM (with the “A” standing for arts). I first addressed this topic in an article entitled “The Over-the-Top Debate about STEM Education.” In that article, I noted Fareed Zakaria (@FareedZakaria), a columnist for The Washington Post and host of “Fareed Zakaria GPS” on CNN, had created quite a stir in the field of education with the publication of his book In Defense of a Liberal Education and a Washington Post op-ed piece entitled “Why America’s obsession with STEM education is dangerous.” As I stated in that article, I believe that Zakaria’s assertion that emphasizing STEM education is dangerous is a deliberately over-the-top attempt to garner publicity and sales for his book. To be fair, Zakaria’s does have a genuine concern — if liberal arts are squeezed out of the education process, the world will be a much less interesting one in which to live. I agree that if that we lose the valuable contributions to humankind and culture that come from the arts we would all be losers. Nevertheless, I believe that Zakaria’s fears about overemphasizing STEM are unfounded and that we need to continue the push to improve STEM subjects in school — the earlier the better. Bertram agrees. He writes, “It’s not about adding to the acronym, but instead adding to the relevancy of learning.” The following infographic, prepared by the Quarry Lane School, provides some pertinent facts about the importance of STEM education. Like other STEM advocates, I want America and American workers to be competitive in the decades ahead. I want our children to have a good chance of enjoying the fruits of their labors. Although life is certainly about more than making money, having a job that is fulfilling and pays well is important. Unfortunately, people are starting to wonder if getting a college degree is worth the money and time to do so. Andrea Fuller (@anfuller) reports that the higher education debate is only going to get more heated. “For the first time,” she writes, “government data back up what some parents have long suspected: Students who choose elite liberal arts colleges don’t earn as much money early in their careers as those who attend highly selective research universities.” I’m not sure that lifetime earnings is a good way to determine whether a college education is worth the money; but, I do know that living in debt doesn’t help the pursuit of happiness — however, the cost of higher education is not the topic at hand. Whether a student pursues a liberal arts education or a more technical one, having a good foundation in STEM subjects (taught in a way that makes them directly applicable to real-life challenges) will help them succeed in whatever career choice they make. Chad Orzel, “Science Is Essentially Human; Or Why Better STEM Education Isn’t A Threat,” Forbes, 31 March 2015. Vince Bertram, “STEM or STEAM? We’re Missing the Point,” Huffington Post The Blog, 26 March 2014. Andrea Fuller, “Parents’ Fears Confirmed: Liberal Arts Students Earn Less,” The Wall Street Journal, 3 November 2015.